Trident Group is a USD 1 Billion Indian Business Conglomerate headquartered in Ludhiana (Punjab). The group operates in five major business segments: Yarn, Terry Towels, Paper, Chemical and Captive Power. Incorporated in 1990, the company continues to grow under the dynamic leadership of Chairman Mr. Rajinder Gupta: a first generation entrepreneur. Internship experience at Trident was really exceptional. I got the opportunity to work with different people having experience in Sales, Marketing and Analytics. 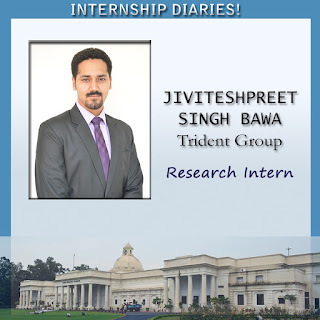 I was one of the 3 Research Interns that Trident hired from PAN India through their web portal. My Internship project was to identify strategies to increase market share of Trident Copier paper in Delhi NCR region. Working on Copier paper project gave me exposure to FMCG sector & Channel Sales via Distributor Retailer network. It was a great learning curve for me interning at Trident Group. Market sizing strategies & Sales data analysis to identify market share of Trident Copier Paper. Sales Trend analysis to evaluate Market Potential of different locations & dealers of Delhi NCR. Product Portfolio analysis, Competitor pricing & Packaging strategies. Need-based & Behavioral Segmentation, Porter 5 Forces to evaluate segment attractiveness. Product & Brand positioning based on Consumer & Dealer research. Such in depth analysis helped me find insights about Copier paper market. Detailed analysis helped me define strategies for Sales, Distribution, Marketing, Branding and Packaging. I worked on Ansoff matrix to define strategies for Market Penetration, Product Development, Market Development and Diversification.